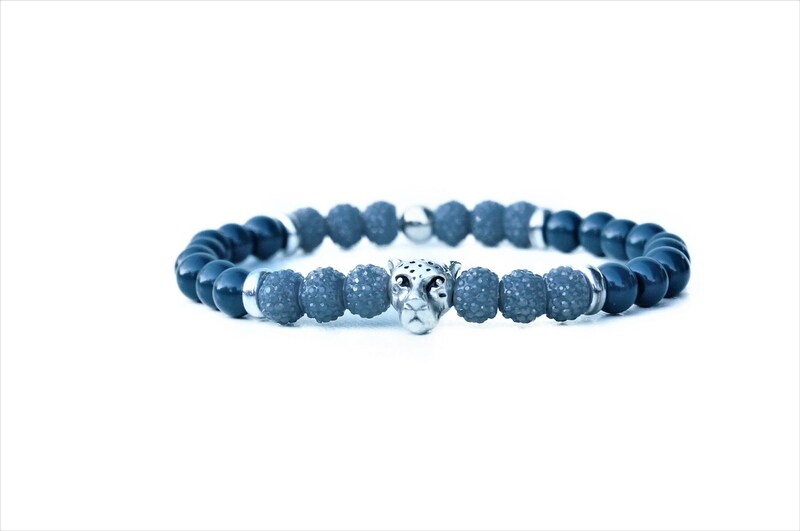 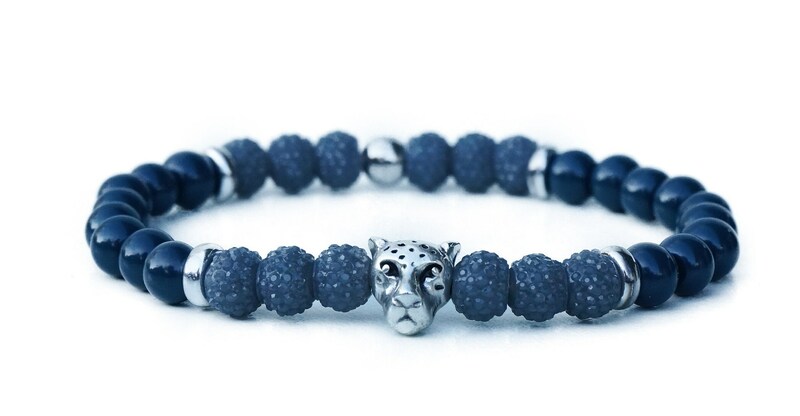 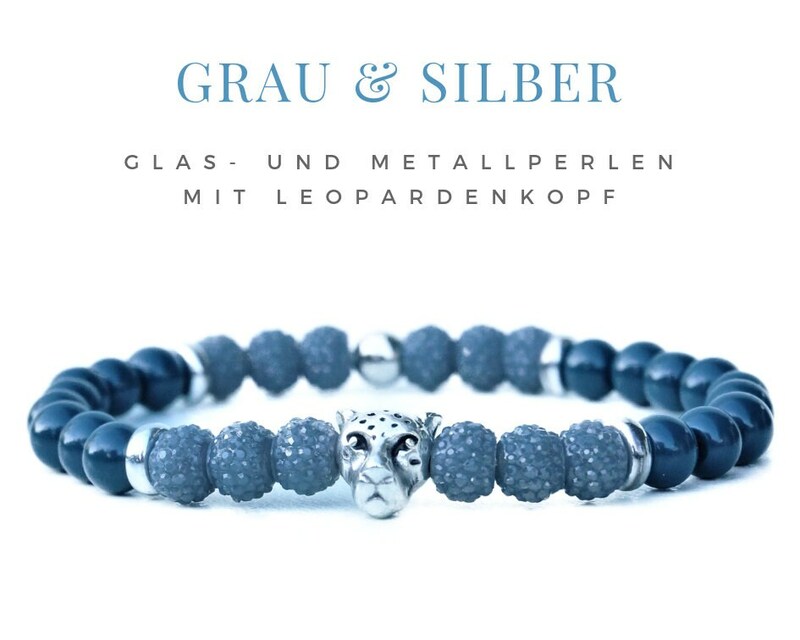 Grey pearl bracelet with leopard head pearl consisting of "frosted" looking acrylic beads that glitter very nicely and in contrast smooth shiny 6mm glass beads in slightly darker grey. 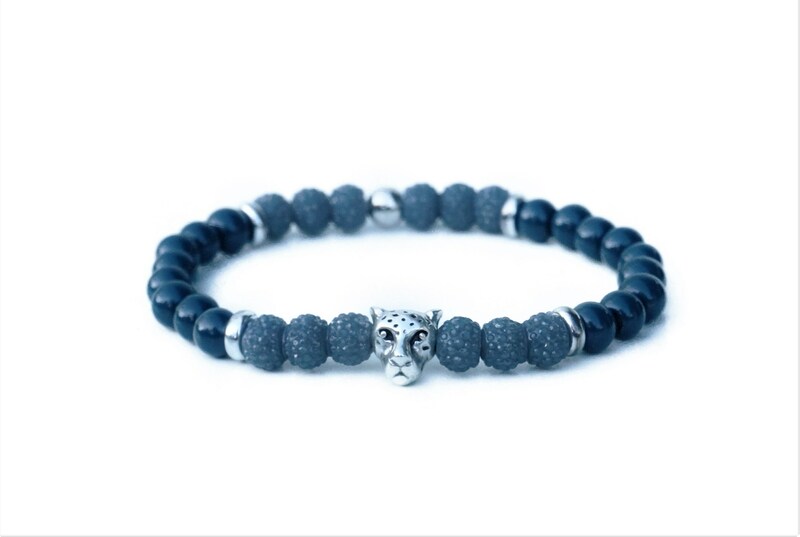 In between are silver narrow spacer beads made of glass or silver plated metal beads. 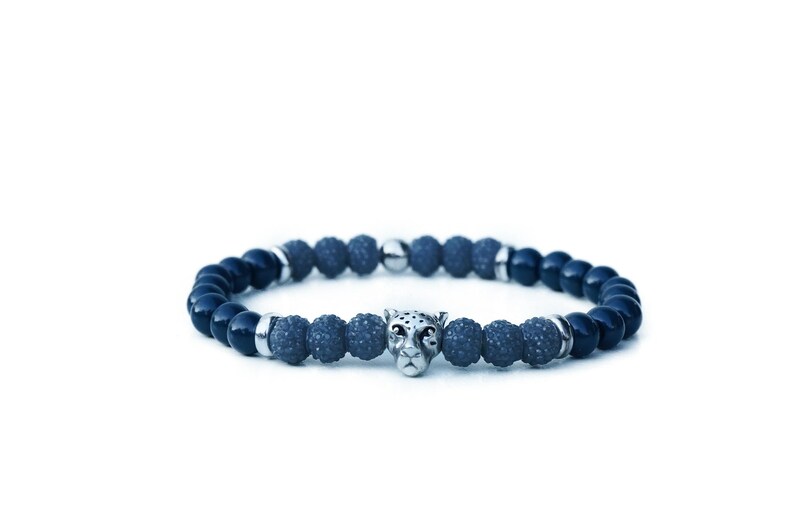 The elastic 17 cm long bracelet is sent wrapped in an organ retel as a gift.